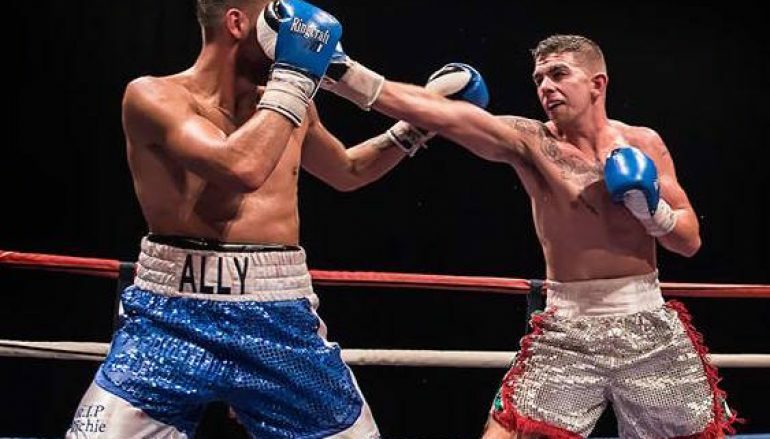 Cardiff’s Mitchell Buckland (10-0, 2KO) extended his unbeaten record and became a two-weight Celtic champion in the process with a Unanimous Decision win against Ally Black (5-2, 2KO) at the Newport Centre. In a rematch of Buckland’s four round non-title stoppage win in July, the light-welterweights picked up where they left off last time, both taking turns to share backhands from opposite stances. It was Buckland’s southpaw left that made the bout’s first significant mark, a half-hook-half-uppercut rocking Black’s head back in the second round. It didn’t serve to discourage the Scot, who attempted to maneuver Buckland in a clockwise direction towards his right hand, with varying degrees of success. There was little to separate the light-welterweights in the early exchanges but when their lead hands didn’t clash, Buckland found room over Black’s jabs to land his own eye-catching jabs. After being outhustled in the first two stanzas, Black adapted by targeting Buckland’s body, then trying to fall in to a clinch and smother the Welshman’s reply. At points, it did crowd Buckland’s work but the St Joseph’s Boxing Club member was smart enough to find ways around it, making sure an arm was free to catch Black slightly before and after the clinches commenced. In the second half of the fight, Buckland found the target with his straight left more regularly and it served to bruise Black’s left eye, then bloody his nose. The ringside doctor visited Black between rounds to ensure he could continue, observations likely to have been influenced by the result of their original encounter in July, when Buckland forced the stoppage by heavily damaging Black’s nose. Black, who had been too keen to match Buckland punch-for-punch, regained his discipline in the final few rounds and attempted to re-establish the distance, under the strict instruction of his corner. However competitive, it wasn’t enough to take the rounds as Buckland was marginally quicker to the punch and cuter in defence, dipping from the waist to get under Black’s punches. The distance did increased as the fight came to a close but Black’s success didn’t, as it only served to give Buckland the room to step in to his shots and he did so, troubling Black, who was forced to think again but out of ideas. Every one of the last five rounds were similar and Black’s corner implored their man to find a stoppage in the last session but it didn’t come and he left the ring as a game but out-gunned runner up. All three judges (John Keane, Reece Carter and Martin Williams) scored the contest to Buckland, by margins of 99-92, 99-92 and 100-91. Michael Alexander officiated. 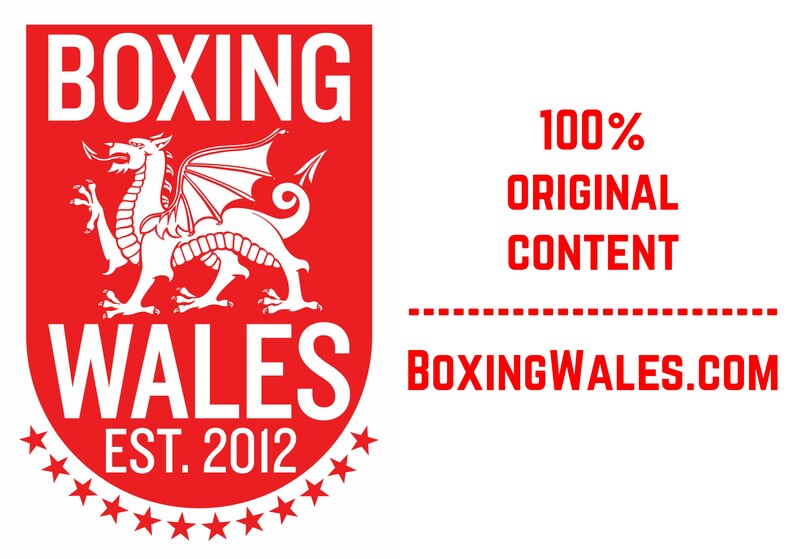 In the final fight of Warrior Promotions’ ‘Enter The Dragon’ show, Swansea’s former world champion Enzo Maccarinelli (40-7, 32KO) recorded his 40th professional win with a routine stoppage of Czech survivor Jiri Svacina (12-17, 1KO). Expectedly, Maccarinelli immediately sized the initiative without a lot of resistance. Draped in his usual all-black outfit, a ruthless Maccarinelli gave Svacina little room to escape, pinning his opponent to the edges of the ring and not letting him leave the ropes. It was a pattern that was never in danger of altering and the overmatched Svacina wisely never attempted to push Maccarinelli backwards. The 35-year-old Welshman calmly retained his distance throughout, allowing him the leverage to land sickening shots on a constantly moving target. In the third round, Maccarinelli landed a flush left hook that resulted in Svacina turning away and gesturing to the referee that he didn’t want to continue as a bemused Maccarinelli walked to his corner. The intervention from Reece Carter didn’t come and Maccarinelli quickly recommenced his attack, forcing another Svacina gesture before he was bundled to the canvas. Smelling blood, Maccarinelli upped the intensity in the fifth round, jabbing to displace Svacina’s guard and opening room for his backhand. Svacina’s survival tactics kicked in and he duly raised his hands to block the onslaught, only to leave his mid-section open, obliging Maccarinelli to throw his left hook downstairs. It dropped Svacina twice and the contest was waved off on the second occasion, leaving Maccarinelli free to pursue other opportunities. After two years of campaigning as a light-heavyweight, Maccarinelli appeared as a cruiserweight and it’s likely his next fight will be against Roy Jones Jnr in Russia for a version of the WBA world title.